It has been too long since I have provided a brewing report. I have been active but haven’t been documenting or photographing the sessions. 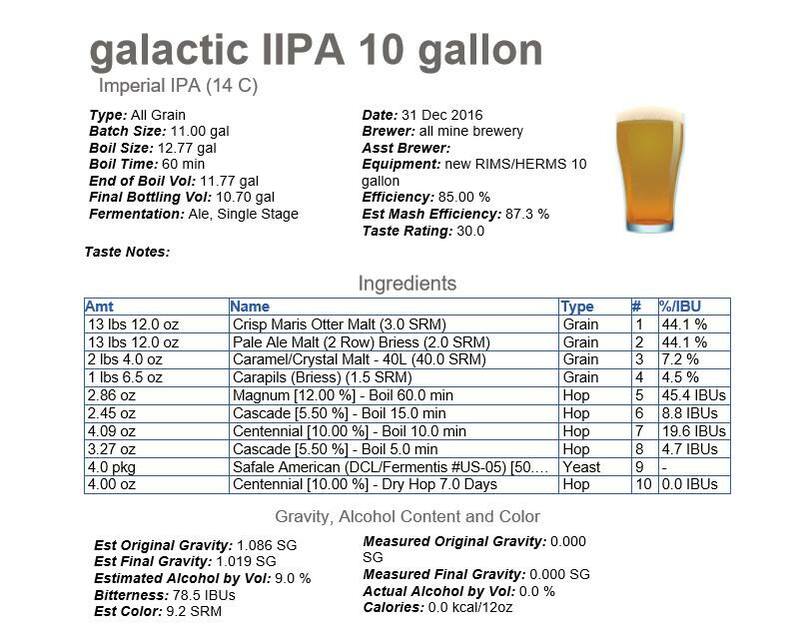 On Dec 31 I brewed ten gallons of my Imperial India pale Ale recipe (Galactic IIPA).As the recipe shows, it is a fairly large brew – about 30 pounds of malted grains and over a pound of hops. 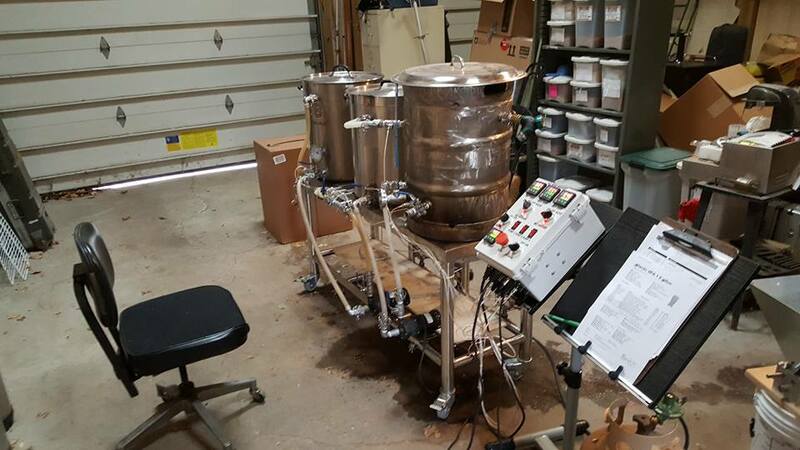 I used the three vessel HERMS/RIMS rig I completed last Spring. I divided the output into two fermenters. This keeps the weight of each down to manageable levels plus the smaller carboys fit well in my chilled fermentation chamber. I can get 5 such vessels in there at a time. After a week to ensure that primary fermentation is complete I will add the dry hops to the fermenters and let the process continue for another week. 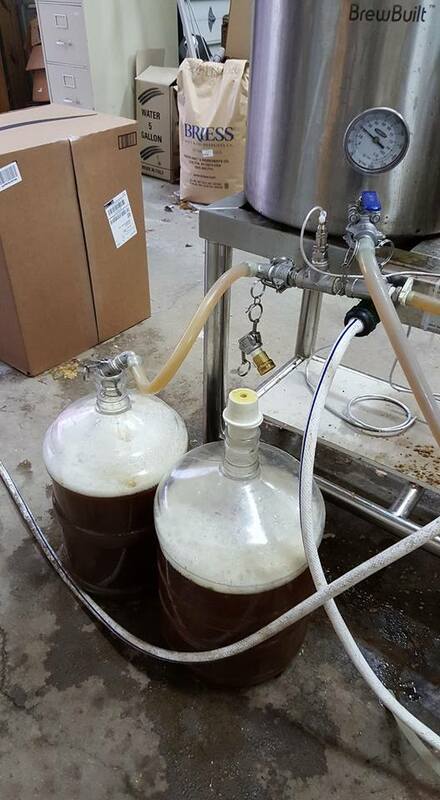 Then it will be ready to carbonate and keg or bottle.